Digital Magic Shop is an all one production and creative hub. We are in the business of turning the average TV spot into the top tier commercial that our generation of consumers have come to expect. If you can dream it we can make it happen, on even the smallest advertising budget. With a little "Hocus Focus" and a lot of dreaming outside the Box we turn any challenge into an eye catching television ad campaign. From custom Jingles to state of the art 3D animation, from script design to on site shoots including portable green screen and jib crane production, Digital Magic Shop leaves nothing in the Magic Hat, we do it all! Call us today! Lets make some digital magic and get your product or service where it needs to be, Center Stage. 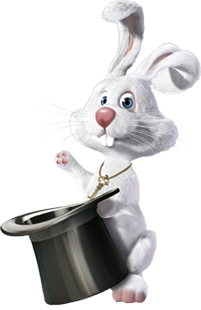 In short, Digital Magic Shop will make all your advertising worries disappear. Without making your advertising budget do the same.